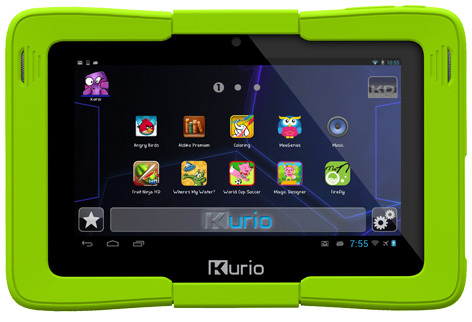 Inspiration Works took the toy market by storm with their Kurio kid-friendly tablets available in 7” and 10” versions. Launched at the London Toy Fair to great acclaim by many gadget-savvy critics, it was even awarded “Best of Show” by Gadget Show Live. Both versions came with an in-built 2-megapixel rear-facing camera, and a .3-megapixel forward-facing version. The advanced parental controls included profiling, a time lock and customisable content from the internet – Kurio is probably the safest tablet there is. One year later Kurio launched their new Kurio 7S and Kurio 10S tablets. Both devices come with protective bumpers to help safeguard against the inevitable bumps and knocks of child play time. 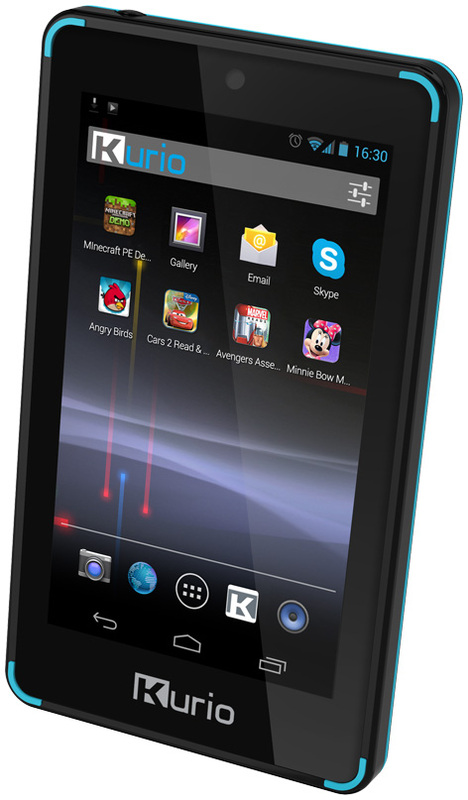 Kurio 7S operates on a dual core processor, whilst the 10S model offers an impressive quad core version. Both tablets have stereo speakers for great sound, whilst the 10S also has a 2.1mpx camera on both the front and the back. The KurioGenius™ Parental Controls are at the heart of every device, as well as permanent internet filtering. Parents can also activate different playing time controls for each user. The redesigned app store contains a new selection of games as well as all the old favourites like Angry Birds or Fruit Ninja. In addition, Kurio were also proud to launch their amazing Kurio Touch 4S. Described as the “Ultimate Android Handheld For Kids”, it comes pre-loaded with over 30 apps. A selection of games feature lots of kids favourite Disney characters like Cars 2 and The Avengers. Full parental internet surfing control comes as standard, as well as the ability to create time play slots. Cool looking black ear buds are included with the 4S as well as a built in front camera. Volume buttons, a micro SD card slot and 3.5mm headphone jack complete the impressive 4S specifications. Please tell us what you think of the Kurio S Series by KD UK. I think the Kurio is great but needs a few more older fun things on it. Apart from that it's fantastic and is going to be a great hit!